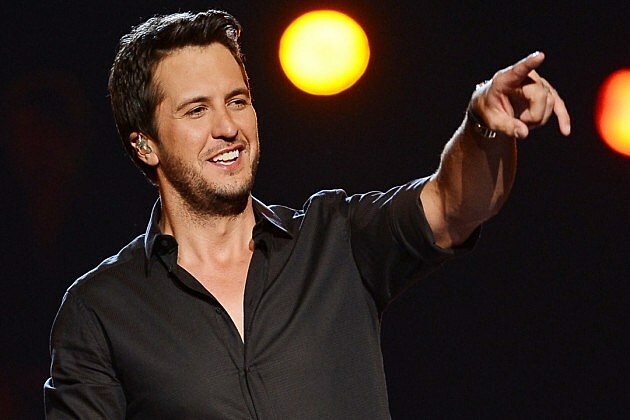 August 7th marked the release of Kill The Lights, Luke Bryan's fifth studio album. The album is made up of thirteen tracks, with Luke co-writing six of them. To be perfectly honest, I'm not particularly impressed by this album. As with Luke's last full length album, Crash My Party, (click here to read my review), I found I was only really drawn to two of the tracks on Kill The Lights - To The Moon And Back and Scarecrows - and found the rest of the album to be distinctly average. One of the softer tracks on the album (and my favourite), To The Moon And Back has a really touching story that is told very well, simply the idea of loving someone "to the moon and back" through everything that might happen during a relationship. A huge well done has to be given to the song-writers, really lovely sentiment. The brushed snare drum is very effective, adding a solid beat to the track whilst still keeping the softer feel of it. Hillary Lindsey provides brilliant backing vocals that add to the track and, interestingly, her voice works really well with Luke's. It just shows that Luke can do more delicate tracks, in my opinion, better than his usual rocky numbers. I would really love to see more tracks like To The Moon And Back and Drink A Beer included in his albums. Scarecrow has a heavier production than To The Moon And Back but is still strong. The imagery of looking back is nothing new but the scarecrow link works, adding a different take on it, and Luke's vocal and the production round it out to be a comfortable song. I feel like the track will be very relatable to listeners and can see it being very popular live. Scarecrow is a very listenable track, taking it's production lead from the drum and electric guitar lines and with a chorus that encourages you to sing along. As a huge Little Big Town fan I really wanted to love Home Alone Tonight but I'm unfortunately just not really convinced by the track. I wouldn't go as far as to say I don't like it but it just feels like there isn't anything there to really draw a listener in, with fairly indistinct lyrics and production, leaving the track feeling a little lost in the midst of the album. Hearing this track brought Dierks Bentley's When You Gonna Come Around to mind (which I much prefer) which perhaps tells of the differences between Dierks and Luke. It has to be said that Luke and Karen deliver very strong vocals and I feel like this may be a track that grows on me but certainly at the moment I'm afraid it's a miss. I was instantly un-impressed by album opener Kick The Dust Up. Full of rockier production and slightly awkward spoken lyrics, the song is completely uninspiring and I'm surprised it was the lead single from the album. Lyrically there doesn't seem to be anything to set it apart from other tracks on the album, Kick The Dust Up becoming the typical 'party' song. It also feels a little like the production is fighting against Luke's vocal during the chorus, meaning the chorus just generally becomes a little uncomfortable. Throughout Kill The Lights it feels as though most of the tracks are about women or parties, something that quickly becomes boring. Whilst the production is varied enough to keep each song separate, there are a lot of very strong albums out there at the moment and I feel as though this album doesn't do Luke any favours. I know this album has already received a lot of positive press but I would personally suggest downloading To The Moon And Back and Scarecrows (and probably Home Alone Tonight) and skipping the rest of the album. Labels: Luke Bryan "Kill The Lights"